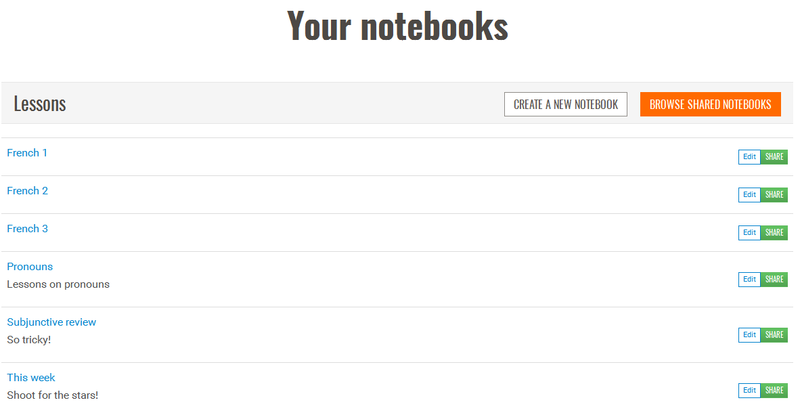 You can create homework (Studylists) for members of your Studygroup in the form of Notebooks. 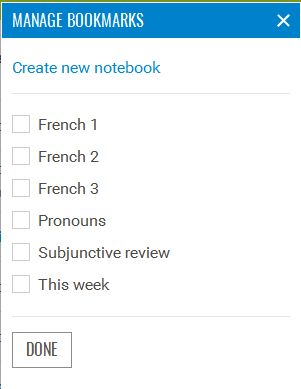 You can create Studylists for each class, topic, date, lesson, or any other theme you choose. These can be shared with individual students or groups, giving them specific content to work on between classes. Students can bookmark/favorite the Notebook in their browser, take a test on those topics, and add the lessons to their personal Notebook. Click the "Share" button next to the Notebook. Edit the title / description (optional) then click the "Share now" button. Click the Notebook icon in the navigation bar at the top of the page to return to your list of Notebooks. Click the title of the shared Notebook. Copy the URL from the address bar and send it to your student(s) via email.